Happy Friday, Friends!!! This week has been a BLUR and I'd be lying if I said I wasn't TOTALLY relieved it was Friday :) I'll be even more relieved tonight at around 12:30 a.m .when I'm officially done with my homecoming duties. Today as always... Erika, Narci and I are sharing our FAVORITES from the week! Grab our graphic and link back to one (or all!) of us below! Mason drew me an awesome picture during ESS and the big reveal was my FAVORITE. Thank y'all so much for the perfume recommendations yesterday!!! Amazing Grace by Philosophy seemed to be a crowd FAVORITE so I went ahead and ordered this gift set. I'm pretty excited! One of my FAVORITE Etsy shops opened back up again and if you're looking for a great gift idea (teachers, siblings, moms, friends...) you should check out her shop HERE. I ordered each of the kids one of her snowflake ornaments with their Bible verse stamped onto it along with the year. I'm so excited! Griffin got her hair braided by her FAVORITE girls at the country club yesterday - isn't it so pretty?!?!?! 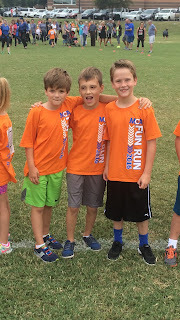 The boys had one of their FAVORITE days of the year yesterday - the Fun Run! 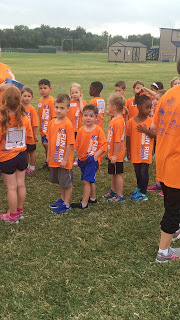 'Here they are before school ready to run! 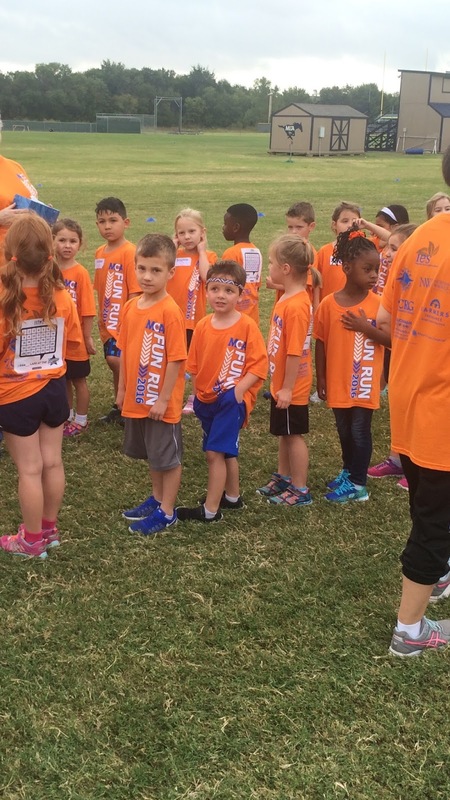 And here they are with their buddies ready to run! I was giving tests, but Dave got to volunteer and mark laps. Middle and High School have dress-up Spirit Days during Homecoming week and I LOVE seeing all the creative costumes. Yes... that's Elmo walking out of my classroom. No words. Bieber, anyone?!?! :) And no... I didn't photoshop that mask onto him... he wore it! So funny! Last night was one of my FAVORITE MCA events of the year. The school-wide Homecoming Tailgate party! I'm in charge of Middle School Homecoming court and when my original flowers didn't pan out (I can't go into it... it's a whole ordeal), I headed to Trader Joes because their flowers never disappoint. Mason didn't get to go (poor, baby!!! ), but he hung out with my parents and the rest of us enjoyed In & Out and a whole lot of school spirit. 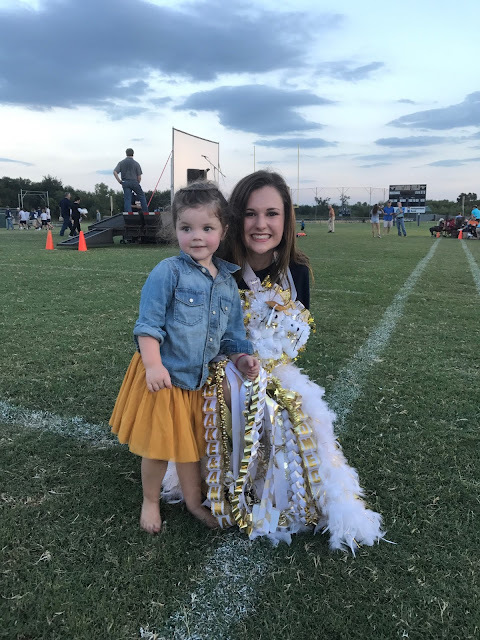 Griffin tried on her very first Homecoming mum and after I crowned the middle school HoCo royalty we headed home because we were all EXHAUSTED! Last but not least... a fun little giveaway!!! I am always on the hunt for cute and comfy outfits for boys and they have LOTS on sale! Enter below to win! Easy Peasy!!! This weekend I have plans to do a whole lot of nothing. Well... soccer, dance, a birthday party, school stuff and THEN nothing :) Happy Friday, Friends!!! PS - This post contained affiliate links... which means that if you clicked on a link and made a purchase I may receive a small commission. Also, thank you to nakonlinebranding for providing the $50 gift card for the giveaway! Oh how I wish you'd gone into the pediatrician's office like that!! Can you imagine the looks? You go girl!! Being a mom, teacher, and much more gets crazy sometimes!! Keep rocking it! Oh friend! I know you work so hard during homecoming week!! Here's hoping you get to sleep late on Saturday morning! favorite thing for my boy? ANYTHING that can handle basketball, track and band stench! LOL You guys had a great eve and love all of the roses! I hope you can rest up this weekend!!! I love that Etsy shop too! I wish I could braid my daughter's hair like that -- so cute!!! And I think I need to add some of that philosophy to my cart, I've heard great things about it! Happy Friday! I have four boys and my favorite thing to shop for is clothes...they are easy to shop for and never complain. That may change once they get older but for now I'll take it! Those flowers are gorgeous! Loving Griffin's hair braided! I am a girl mom and a girl aunt x2, but we have a precious new NEPHEW and it is so fun to see what he is into ! Picking fun fall outfits for him is a blast. You're right about Trader Joe's flowers. They are always GORGEOUS and so much cheaper than anywhere else! G's hair looked amazing, and your outfit was EPIC. What a fun crazy week...I love love these kinds of week at school...but love Friday even more! Hope M is feeling better!! Enjoy your weekend of relaxation! Sounds like you totally deserve it! Gotta love a Homecoming mum! My favorite thing to shop for my boys are pajamas. I know it's weird, but they go through pajamas quick and I love how they look when they're sleeping and in new pjs! Happy Friday!!! Love your etsy shop Christmas gift ideas!!! Thank you!!! My son loves comfy sporty clothes and is very picky. We buy a lot of athletic pants! I will always love little sweater vests for boys! GG is rocking that homecoming mum! I died a little inside for you when you said you had to go to the doctor dressed all mismatched. Of course you'd have too! Hope y'all get lots of rest this weekend. OMG I giggled a little out loud when I read you had to take Mason unexpectedly to the dr in that outfit! That is so mom life right there, ha! Trader Joe's has the best flowers..&a chocolates..& food...& coffee!! Oh goodness! I love to buy sweaters and sweater vests, lol! 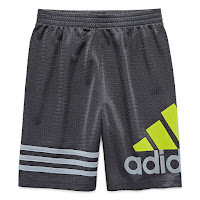 But now that my little guy is playing soccer, I'm sure we'll be purchasing much more athletic wear. Yikes, we have had sinus infections all through our house this week-ahhh! Homecoming is always so much fun and I love the #demoday costume! Amazing!! We've had sick boys for the past 2 weeks. Hope Mason feels better! Most of our kids are older, but we still have an 11 year old little guy. He loves anything sports related! Nike shorts and shirts are a favorite for him. How you managed to think of making the arrangements yourself! While sick!! I'm impressed!! I can't function enough to form sentences while I'm ill lol. Great Job! Hope you and Mason are on the mend and get lots of rest this weekend! Andrea! What a week! Your amazing attitude always shines through even on the rough days. Praying for much R&R this weekend. My boys are 3 & 5 and I love buying their fall clothes from OshKosh- their jeans never disappoint. 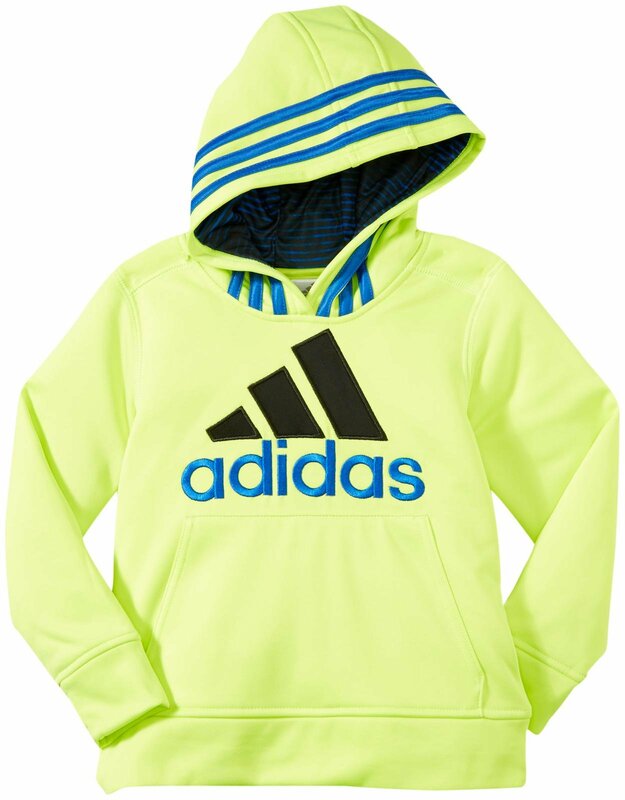 My 5 year old soccer lover is getting into wearing athletic clothes like Adidas and Nike so some sporty pants and jacket would be perfect for him! I've been wearing Amazing Grace for years! Great choice! My son would love those comfy clothes! Love Griffins hair!!! The flowers were gorgeous! My son loves comfy shirts and mesh shorts, too! I hope you get lots of downtime with your people this weekend! It looks like you guys had a very fun, but very busy week! Having to go to the pediatrician in your outfit is priceless!!! Glad you are feeling better and hope y'all can all rest this weekend! GG is just the sweetest little thing!! Gotta love teenage boys and their humor! Trader Joe's never disappoints on the flower choices, I always pick up a bunch when I'm there! I'm about to welcome my first baby, a little boy, in a few weeks. I'm so excited to dress him in monogrammed bubbles and jon jons. My son never wears cute clothes (he lives in t-shirts and shorts!) so when I actually get to buy him cute dress up clothes that is my favorite. My favorite thing to shop for boys is UnderArmour. Boring. Girls are much more fun to shop for!! I hope you feel better!! Shoes are probably my favorite! Hope you have a nice weekend! Love your blog and get lots of fun kids and decorating ideas from you! Love shopping for Lego's, Nerf and casual everyday "workout" clothes for my son. He lives in shorts, t-shirts and hoodies. I love shopping for shoes for my boys and there are always so many cute tees! Thanks for the giveaway! I have recently started reading your blog and I must say I am loving it, from your recipes and craft ideas to outfits and home decor, you're just the cutest. Thanks for the giveaway! My son loves comfy clothes! Let us know how you liked the new perfume! 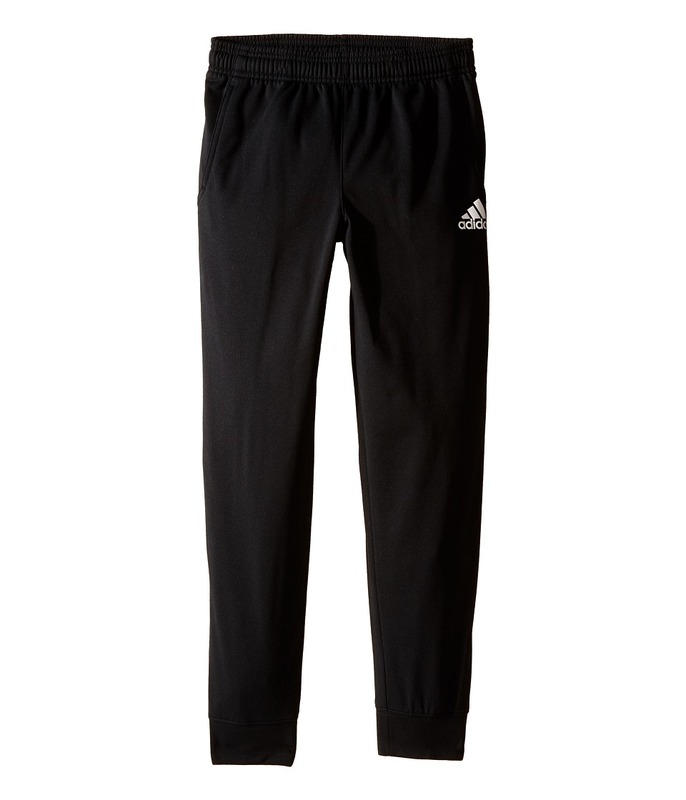 My son has to wear uniform to school and then on weekends he only wears activewear but I still like shopping for him! Thanks! Those flowers are beautiful but your bag really caught my eye!! I LOVE it!! Love all the pics, thanks for sharing!! My son is now 12 and pretty much wants to live in athletic shorts and tees...when he was younger my favorite was always the shoes!! My son is a comfy clothes loving boy! He wears uniforms to school but changes the minute he gets home. He calls them "Awesome, Cool Clothes". I love your blog and your fun life. :) I have a 4.5 year old and I love to find fun shirts to go with his boring shorts or jeans. :) Thank you for doing this giveaway!! That braid is so pretty!!! And Beiber made me lol! I hope you're able to spend some time this weekend resting and getting everyone feeling healthy again soon! 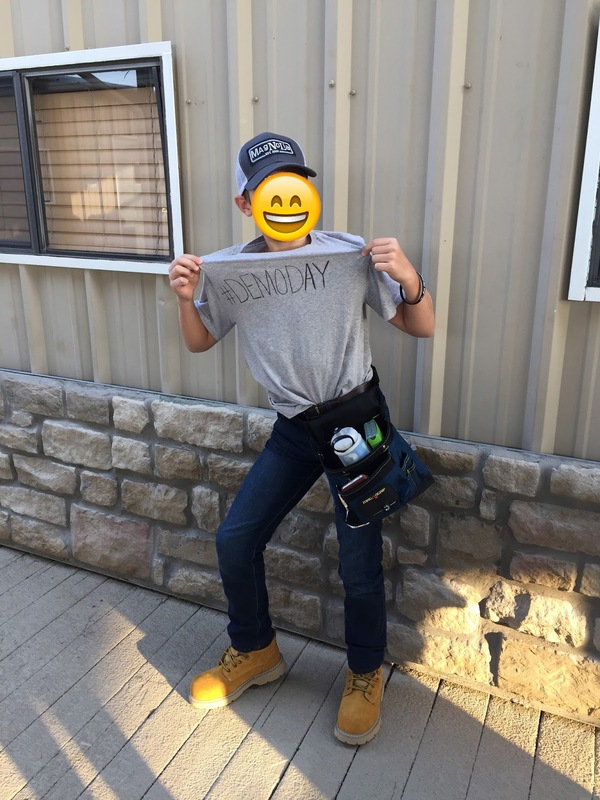 The #DemoDay costume is hilarious, so simple to put together and super creative! Aww....hope you and Mason feel better.....and that no one else in your family catches it!! Have a restful weekend! And I don't have boys, but I can't wait to buy them nerf guns and lightsabers! I've been wanted one of those quote bracelets! I love shopping for clothes for my little guy, but don't love that he is getting picky about them! I don't have a boy but my nephew LOVES Under Armour! Well wishes to your family! I live buying shirts with fun sayings on them! Some of them seem to be made to fit my sons personality. Wow! You had a busy week. My boys love comfy clothes. Homecoming is such a fun week! I love shopping for boys shoes! Love the Homecoming celebrations - brings back so many memories. High fives on getting those flowers done yourself...just a little bit stressful. cute little shorts and tees that they can be rough and tumble in. I'm amazed with all you accomplish in a day/week! Hope you guys are all feeling better! I love seeing what kids come up with on theme dress up days! Shopping for boys...I am not a shoe person, but I love picking out shoes for Xavier! I could buy them all! lol! I love your sweet family!! Thanks for sharing your week with us! Rest well this weekend! My little boy is two so I still try to dress him like a "baby" when my husband doesn't give me to much grief :) give me all the smocked sets! Amazing Grace is a perfect choice! I get comments on it all the time! Amazing Grace has been my favorite scent for awhile now. So classic! GiGi with that mum is adorable! Love Texas traditions! Checking on the perfume....looks like it might be a winner! Homecoming at your school look so much fuN! We have two boys, and they love to wear Under Armour. It holds up well to active little boys, and it's so comfortable! As an added bonus, we can usually find UA on sale at TJ Maxx. I would love to find some cute and comfy clothes for the little boy that I am expecting!! You won't be disappointed with Amazing Grace :) Other favorites from them to try...Pure Grace and Falling In Love, enjoy! I love reading your blog! I'm a grandma to 4, 3 girls and 1 boy. With Christmas and his 7th birthday, would be so much fun winning the clothes. By the way Lexi, my 4 year old granddaughter reminds me so much of GiGi, she has the long curly hair! Please have the girls who do Griffin's hair to a tutorial. I want to learn!! :) Hope you all get well soon. My son is 6 and I love shopping for boys pj's. Gymboree has some really cute winter ones right now. I bought the blue ones with the polar bear and tree pants. I might go back for the wooded animal or fire engine ones too! I feel like my son loves shorts from spring-fall and jeans in winter so I have to find something fun. 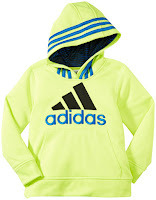 I also love sweatshirts for him, there are always such cute ones! Rest up this weekend after that busy week! My favorite thing to shop for for my boys are athletic pants/shorts and hoodies. They will always love those! I wish I could braid my girl's hair. So pretty! G's hair is sooo cute! And glad you have a slow weekend coming up. Praying for you and Mason! And that it doesn't get passed around the rest of the family! Love your blog and your adorable pictures! I have three boys who are all about comfortable athletic clothes. Have a great weekend! I love reading your blog! And my favorite thing to shop for my boys is comfy clothes. My favorite thing to buy for my 4 year old son are funny saying shirts! Today he's sporting one that says "I'm the reason we can't have nice things"
Love your blog and your cute kiddos! Hope you and your sweet Mason feel better!! Thanks for a great giveaway! I'm always looking for cute boy clothes for my Grayson!!! We are battling the yuckies over here too! Girl, you motivate and inspire me. Hope you are feeling better! My son loves comfy clothes - but they have to be under armour, nike, etc - not sure how that happened but he sure does look cute! GG's hair looks so cute like that... it looks like she's wearing a little crown! Love these posts - thanks for all the suggestions! GG is the cutest thing ever- can she get any cuter?!?!?! cheese and rice! boys comfy clothes for the win!! My little man could sure use it! I love to buy my (boy) multi colored chinos and crisp white or denim shirts! My boy loves to get me to buy multi colored Nike shorts and crisp t shirts! HA! Hope everyone feels better soon! I personally like to buy my (boy) multi colored chinos and crisp white shirts. My boy however likes for me to buy him multi colored nike shorts and crisp t shirts. I laughed out loud about your outfit for the doctor's office. Of course he got sick on that day ;). Your homecoming pics take me back down memory lane. Good memories of homecoming for sure! I love that you're one of those "fun" teachers! Growing up, I loved when my teachers were involved with school spirit! I love GG's Halloween outfits! And you hoco week has been nuts...I don't know how you do it, let alone sick. I'm super jealous you've got all of you shopping done already. I'm half way there! Hope I win! Love Griffin's flower dress. I love shopping for cute little shirts! I love your sweet family!! One of my FAVORITE blogs! I love shopping for cute plaid button ups for my son, mostly from GapKids. He doesn't care what he wears (yet) and since his sister does (although she's only 3), I enjoy shopping for him more! Ha! In general I love to shop for fall clothes for my daughter and son. Layers are so much fun! Thanks for the great laugh! I love to dress my son in Gap clothing, I especially love their button up shirts with denim. Their playtime favorites are also great as there is always at least one dinosaur shirt. I love to shop for my boy at The Children's Place. They always have cute comfy clothes. I can always find what he needs and they have great sales, coupons, and rewards. I have 3 boys and my oldest always and only wants to wear comfy athletic type clothes. I can't get then washed up fast enough! My little man is just two weeks old, but so far I love to shop for cute outfits for church for him!! He was 4+ weeks premature, and I'm ready for him to grow out of preemie outfits (such limited options in this size!) and into the cute newborn and 0-3 month clothes! Glad to see the flowers worked out! Looks like you all had a busy week! I love shopping for layers so think plaids, vests, and pretty much any Fall clothes. Griffins hair is amazing! I think I need to go to braiding school 😀! I absolutely love that you got to go to the dr dressed that way! Oh and all my boys will wear are athletic clothes! I really love reading your blog everyday! Girl, you are amazing with all you do! Take time to rest and get well this weekend! Love reading about your family and all their activities. Your children are beautiful! I love each one's own personality - they are precious! I enjoy their pictures so much! Enjoy your low key weekend! My favorite kind!! My boys love comfy athletic clothes. Carters hold up really well! I have 2 boys and they both live in athletic clothes. I love all of your posts. I hope your weekend is laid back compared to your work week. I love to shop for nice shoes for my son and for long-sleeve shirts that are different (non-graphic). Anything soft or comfy is high priority! I've only been a boy mom for three months, but I've loved shopping for clothes for him!! Shoes for little boys are awesome!! Favorite thing to shop for my boys is finding that special something that they really love "right now." They get so excited when their new shirt has a shark, football, or a dinosaur on it! Hopefully Mason is feeling better. Love TJ flowers! So fun! I love reading your blog and would love to win the giveaway. I have an almost 14 year old boy who loves athletic clothes but he is also a golfer and we need a new pullover for cooler weather! Probably hats or cute little boy sweaters! I think Boden items for boys are so cute! Whoa! What a week you had! Cute 4 year old clothes would be fun fun fun! I'd love to see the flower arrangements. Andrea!! I am comment 189...that's crazy! How do you keep up with your comments? That could be a whole blog post in itself! Griffin's hair is stinking adorable! My daughter turns three this week, and I am stuck in a hair rut with her. Can the country club gal post a tutorial? Pretty please. I love your blog! I have 2 boys of my own, 4 and 7mths. I'm always looking for cute clothes for them. Looks like a busy weekend! I have two boys 7 and 9 that are constantly needing clothes! I love buying clothes for my friend's boys! plaid buttons ups and cool tennis shoes! Yay! What a fun week! I love shopping for my kids too. 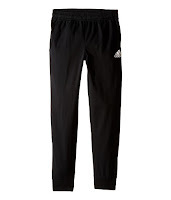 My favorite thing to shop for is new sports clothes for them.